The Cyclorama building. 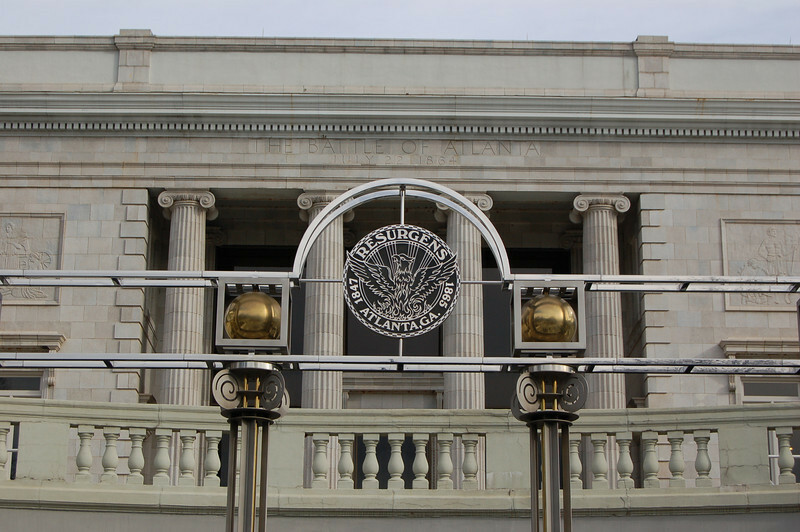 The Atlanta Cyclorama is a Civil War museum surrounding a 360 degree painting and relief. A cyclorama, per Wikipedia, knower of all things, is "a cylindrical panoramic painting designed to provide a viewer, standing in the middle of the cylinder, with a 360° view of the painting. The intended effect is that the viewer would feel as if they were standing in the center of a historic event or famous place — surrounded by the panoramic image."